The Boy Band Con: The Lou Pearlman Story charts the life and crimes of boy band impresario Lou Pearlman. The film tracks his life from discovering NSYNC and Backstreet Boys, to his perpetration of one of the largest ponzi schemes in US history. The Boy Band Con: The Lou Pearlman Story is directed by Aaron Kunkel and was released on Mar 1st, 2019. 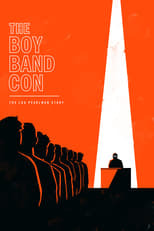 Director Aaron Kunkel's Documentary movie The Boy Band Con: The Lou Pearlman Story is produced by Pilgrim Studios & was released 2019-03-13.